Lemon lemon. I just love them. I have a huge lemon tree at my backyard but the lemon is not that juicy as for my little meyer lemon plant, it’s not producing any fruits this year. Not sure why. My good friend Maria gave me some Meyer Lemons from her backyard and she told me she love lemon bars. So lemon bars it is. So I made some to share it with her and Linda. I prefer meyer lemons as they are more juicy and less tart. Hopefully my meyer plant will give me some fruits next year but if not I can always get some from Maria. I used Ina Garter recipe but the next time I make this again I will cut down a bit of the flour for the filling as I like the filling to be softer. For the sugar I cut it down to 2 cups as meyer lemons are not that tangy so needed less sugar. Mid-Autumn Festival is just a few days away and is time to make some mooncakes. This year I just did the snowskin kind as I don’t have time to do the bake ones. I’ve been pretty busy with some orders and also social life. Have invites to gatherings most weekends. Anyway, I made these mooncakes for a Malaysian get together a couple of weeks ago and I just used back the same recipe from my previous one. Wow, I have not updated my blog for over a month. Why such a long silence? Well, laziness I guess. I still cook at least 3-4 times a week but mostly some repeat dishes and sometimes I am just too lazy to take photos but I still update it on my Instagram though. You can follow me there if you want to. Anyway, I baked these wings some time ago. I am a huge fan of wings but I try not to eat it as often. Maybe once every 2-3 months. I have shared quite a few recipes here and this is one recipe that I have yet to post it here which uses one of my favorite chili sauce: Sriracha. I like baking it as it is less messy than frying and probably a bit healthier. These spicy, sweet and slightly charred wings are pretty addictive. I don’t think you can stop eating it with just 1 or 2 so I hope you try it out. I don’t make this often but sometimes I do crave for it. I prefer Croquettes made from béchamel sauce rather than potatoes. I like the soft, creamy and buttery interior that oozes out of the crispy breadcrumbs when bite into it. The mixture is quite soft to handle, so it is better than you let it cool down really well in the fridge before handling it. These savory patties are good as an appetizer and you can mix anything in it into the béchamel base. Someone at home is complaining that I hardly bake anything for him anymore. Poor guy I actually do bake but mostly for sale. I hardly bake anything for our own consumptions. My take on this is I don’t bake I don’t eat as this way I can control myself. Anyway, I gave in and bake this blueberry cake when Zue came for visit few weeks ago. We also can have it for tea and breakfast. Blueberry is in season now so I bought quite a bit of it for freezing and used some in our juice and baking. One breakfast that I miss a lot from home is Chee Cheong Fun. Oh we can readymade CCF from the Asian supermarket but taste and texture is somehow not right. I like the one served at the dim sum place but it came with fillings which I like but sometimes I like it just plain and serve it with some sweet sauce. I’ve tried making it before but not too happy with the results. So after tweaking and trying it out a few times I think I almost got it right. It is very close to the results that I wanted. It has a much softer, thinner, smoother and right texture. I also added a bit of spring onions to it for some color and flavor. I love the smell of cinnamon in baked pies and cookies and I don’t think I use it enough in my baking. So I decided to add some cinnamon to these cookies. This cookie dough a more pastry like rather than cookie as I wanted a sturdier cookie. It actually turns out pretty well, they were crunchy, not overly sweet and it goes really with a cup of tea or coffee. Do try it out. I’ve been slacking a lot in updating my blog lately. I hope there are still people dropping by my blog. A lot of things happened for the past 2-3 months and it kind of took priority of my time. I too cut down a lot on my baking and cooking so hopefully I can get my blogging mojo back and continue to share my recipes here regularly. Anyway, I baked these rolls a few months ago and finally get to sit down to type out the recipe today. I still have a lot of frozen blueberry in my freezer so I am trying to finish them up so I can get some fresh ones during this summer so decided to use some to make some rolls. These decadent buns turns out soft, fluffy, bursting with juicy blueberries and covered in sweet mascarpone lemon glaze. It was so great to have it for breakfast with a cup of coffee. Soon Kueh/bangkwan kueh is a very popular snack in Malaysian and Singapore. Tradionally the filling is made out of bamboo shoots but nowadays you can usually get the make from Jicama/bangkwan which I prefer. Added to is mushrooms, carrots or dried shrimps. I grew up eating this savory kueh as my grandma, aunt and mom will made it over the weekend to feed our big family. My family made a lot of yummy kueh when we were growing up but I don’t think anyone ever write down any recipes. Everything ingredients are just an estimation or agak agak so this is not our family recipe. I try out this recipe from Rose Kitchen and it turn out pretty good. Shumai is a type of Chinese dumpling, often associated with Cantonese cuisine. The half wrapped dumpling is filled with pork and shrimp and then steamed. You can find it serve at all dim sum restaurants. I miss the Shumai from Malaysia which if full flavor and juicy when you bite into it. The shumai here is not very good. They were way too huge and don’t taste very good. I find some of it was too dry which I suspect they were being steam over and over again before serving it to the customers. That is why I hardly order it when I have dim sum. I’ve eaten a very good one though but it was in New York. So the best thing to do is make it myself. It was pretty good and the taste of this will do for me until my next trip home. I made these patties to share it with one of my Zumba buddies. She was telling me that she is not a fan of quinoa and she finds them too bland and boring. I don’t blame her as I find them tasteless and boring too. So I invited her over to try these patties out. Guess what, she loves it. She had a few and I packed some for her to take home too. I’ve made this before but this time I added some steamed broccoli to it. You can actually add other type of veggies like carrot, grated zucchini, chopped spinach and other cheeses to it. Get creative! I pan-fried these as I prefer them this way but you can always bake them in the oven until golden brown. You can serve this with salad or have it as it is. I am so sorry for not updating my blog for over 2 weeks. I have been very busy and also having some problem with my car too. It was stolen from my driveway and it totally stresses me out. Thank God the police found it and it was in pretty good shape. Now I have to deal with the insurance, the DMV and whole loads of paperwork to be done before I can drive the car again. Anyway, I don’t want to bore you with all the details. Now let’s talk about Banh Khot. Banh Khot is a mini sized rice cake that is fried and served with fresh lettuce, herbs and dipping sauce. I’ve eaten Banh Khot from a Vietnamese restaurant in PA and really like it. What I love about this snack is the crispy texture on the outside and soft and tender in the middle. To eat it you take a piece of the banh khot, place it in a bed of lettuce and herbs, a bit of the pickle carrot, wrapped it up and eat it. It is crispy, sour, sweet, salty and spicy at the same time. Really satisfying!! I bought a Banh Khot/Ebelskiver pan from Amazon last year so I thought I try to make this at home. It turns out pretty well but not as crispy as the restaurant ones. I think it’s because I used too little oil to the pan when I was frying it. The last batch I added a bit more oil to it and it did turn out crispy. The Asian supermarket does sell the ready mix banh khot flour and you can use that. Since I am too lazy to drive out to buy it, I just goggle for the recipe. As for the dipping sauce I added some carrot to the dipping sauce as this way I don’t have to pickle the carrot separately. I serve mine with only lettuce since I don’t have any fresh herbs in my fridge but you can have it with any type of lettuce and fresh herbs. I like making this kind of buns with savory filling as this is something that Carlos will eat. I usually baked a big batch as this way he can warm it up and eat it whenever he wants. It can be for his lunch or snacks. I gave a few to Nini’s and she likes it too. I used the same dough recipe as the Spam buns as I find the dough is very easy to work with and also the buns stays soft even the next day. With this basic dough you can put any filling in it. It can be sweet like red bean paste or kaya. I hope it is not too late to wish everyone Gong Xi Fatt Chai. Well, better late than never right. At least I made it before the Chap Goh Meh. Wish everyone a healthy, happy, prosperous and blessed year of the Ram. As for me I didn’t go back to Malaysia this year so it is a very small celebration with some friends. Here are some pictures I took of us doing the tossing of Yee Sang/Prosperity Toss and some of the food. Hopefully next year I will be home to celebrate it with my family. Everyone enjoying the yee sang. I prepared the above platter for the weekend CNY get together with my best friend. Just a few of us. Don't you just love all the vibrant colors? Good food good friends, can't ask for more. 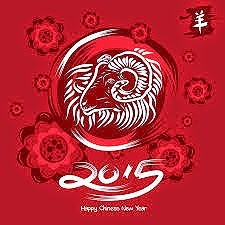 Happy Chinese New Year everyone!! This eggless caramel pudding tastes very much like flan but it is much lighter. I think I like this version better but Carlos prefer the egg version. I can’t blame him as he grew up eating that with Dulce De Leche. I love fritters of any kind. They were great for afternoon tea or even breakfast. I prepared this batch for fritters when my friend Nini’s came over for afternoon tea. We had it with some Chinese tea from Teavivre – Tea for Life . They sent me some sample packets to try out a few weeks ago. We tried out the Jasmine ‘Dragon Pearl’ Green Tea. When I opened the packet I can see the unopened bud and small leaves in it. I understand that the tea leaves were hand rolled into small pearl shape, which will slowly unfurl during brewing. The flavor is so delicate and light, with great aroma of sweet jasmine and faint hint of green tea. You have to drink this tea slowly to savor all the delicate taste. Now let's get back to the fritters. I’ve made a lot of fritters but I think by far this is the best tasting one as the fritters came out crunchy and with a bit of sweetness from the grated carrot. It goes really great with a cup of tea. What a great way to cleanse the palette. I am a big fan of persimmon and the last season my backyard persimmon tree gave me quite a few fruits compare to the previous year. Carlos is not a fan of it and I’ve been eating it a lot and giving some away too. The persimmon is the Fuyu kind which is round and crisp and I like eating it as it is but there were a few sitting on the kitchen counter and they were getting soft and over-ripe. I decided to dice them up and used it in the muffins and since I have a couple of blacken bananas I decided to add them into the mix as well. By the way, persimmons are wonderfully good for you. They are full of fiber, vitamins A, C, antioxidants and iron. So next time if you see these nice orange fruits at the farmers market or supermarket do pick up a few. Carlos has been away for business every week, so I have some time on my hand and so I decided to do some cleaning and organizing our computer room. I have so many cookery books from Tesco lying around the shelves and table. It took me nearly 3 hours to arrange them accordingly so it will be easier for me if I need to look at certain recipe. So happen, I found a hand written notebook in a pile and while flipping through it, I found a cake recipe using lime. I have a lot of limes in my fridge given by Nini's and decided to try it out. It turns out really good, soft and moist and with fine crumbs. This cake goes really well with a cup of tea or coffee. This bark is by far one of the easiest desserts to make. You can mix up a batch of it in 10 minutes before leaving it to set up. The best part of this bark is you can put your own spin of topping ingredients to it like nuts, dried fruits, toasted coconut, candied ginger etc.. The combinations are endless.